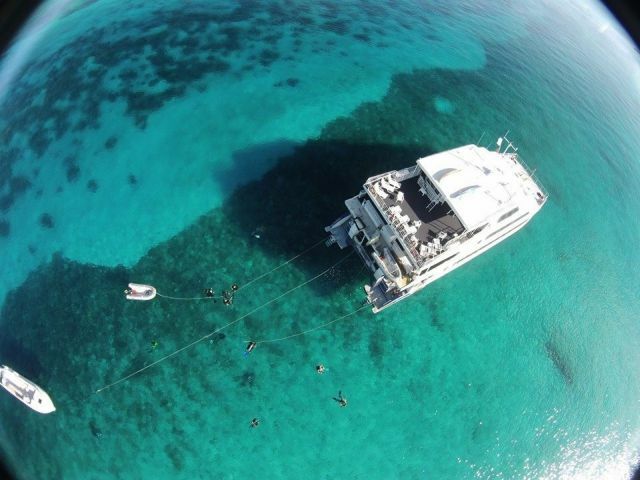 The 102 ft liveaboard catamaran Aqua Cat offers 1 week Bahamas diving trips. The cruising speed of 14-knots will get you to dive sites quickly while the 35-ft beam will ensure a smooth ride. 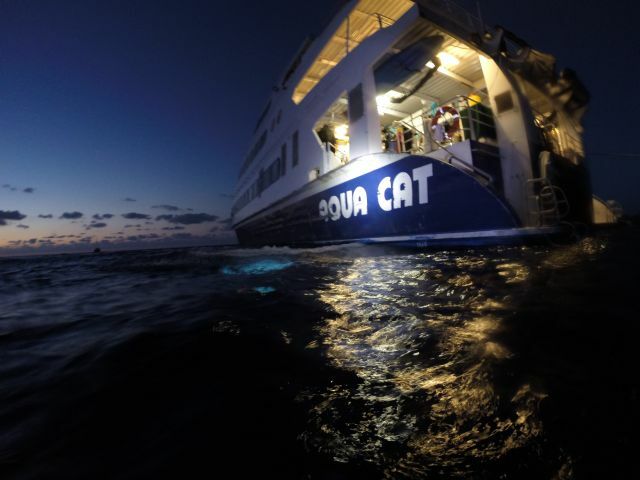 Aqua Cat departs every Saturday from Nassau, Bahamas to the Exuma Cays out islands of the Bahamas. You will have a great time exploring the 365 mostly uninhabited islands of the Exumas with their many beautiful beaches. You enjoy great reef – shark diving and snorkeling and additionaly you can beach comb, kayak, explore the islands, or take advantage of all the great photo opportunities like feeding the iguanas on Allan’s Cay. While in Nassau and Paradise Island, you can enjoy shopping, casinos, and nightlife. We provide roundtrip airport transfers from the airport to Aqua Cat and return to the airport at the end of the cruise. Aqua Cat offers offers plenty of space, the vessel is equipped with 11 luxury cabins and carries between 22 and 30 passengers and a crew of 11. The additional 28 foot jet drive boat offers daily eco adventures and gives you the opportunity to visit beautiful beaches. There are kayaks and SUP’s on board for individual exploration. 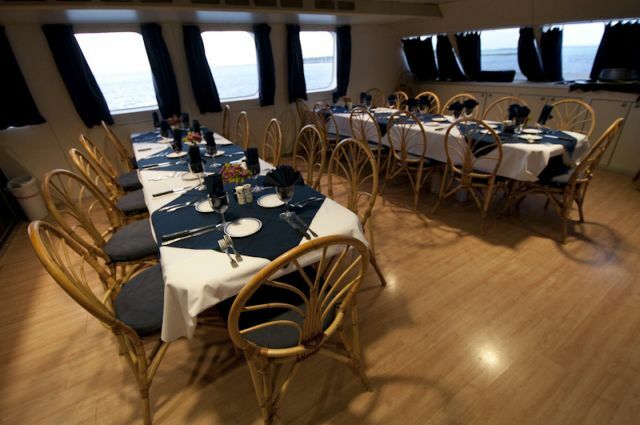 Dining / Salon area: The salon is – like the rest of the boat – huge. And with windows lining three of the four walls, open and bright and airy. Two large tables with seating for 24 in cane style cushioned chairs. The Salon is both a lounge and dining room, with couches, a big screen TV, and coffee tables equipped with 110V outlets for our laptops. Beverage area dispenses soft drinks and beer on tap and icemaker. 7 three seat cane lounges. A television and DVD player. A video editing area (multiple format). The ship’s boutique. 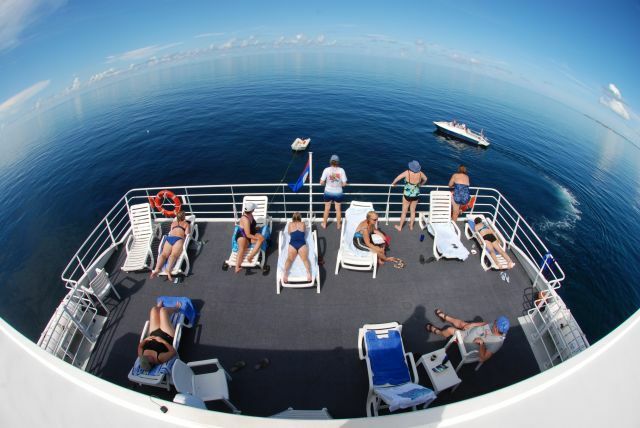 All guest cabins, main salon and photo table on the dive deck have US outlets for 120 volts/ 15 amps. Passengers joining from abroad should bring adaptors and/or converters depending on country of residence to transform power to 220 volts. 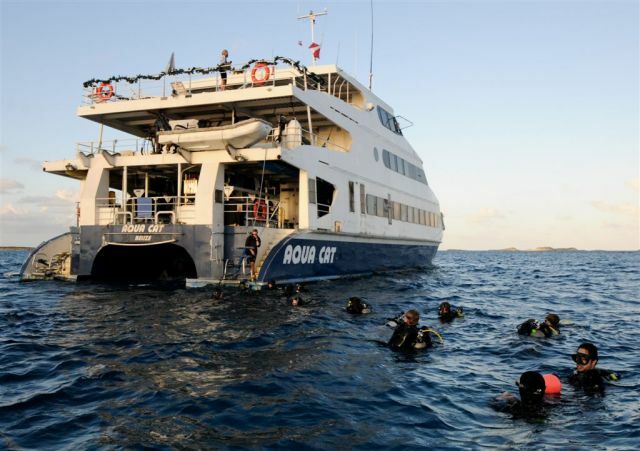 Aqua Cat has 11 cabins and carries between 22 and 30 passengers. oceanview cabin. There will only be 2 passengers in the cabin. The cabins are quite large with 2 large windows and extra long twin beds and private bath and closets. Cabins are equipped with oversized beds in twin, queen or king size, individually controlled air conditions, carpeted floors, large double-sided closet, extra cabinet space, and more storage under the nightstand and the bed. 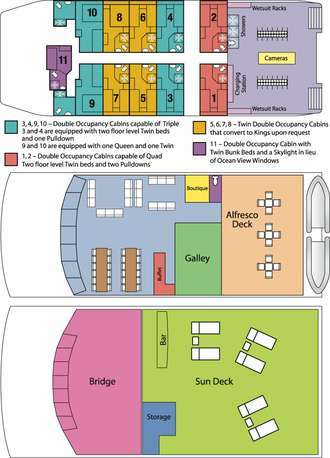 Port and starboard cabins with two large picture windows with shade. Cabin 11 has a skylight with a shade instead of window. Three gourmet meals a day are served buffet style. The chef will take care of special dietary needs like allergies, vegetarian. All meals, beverages/bar and snacks are included. 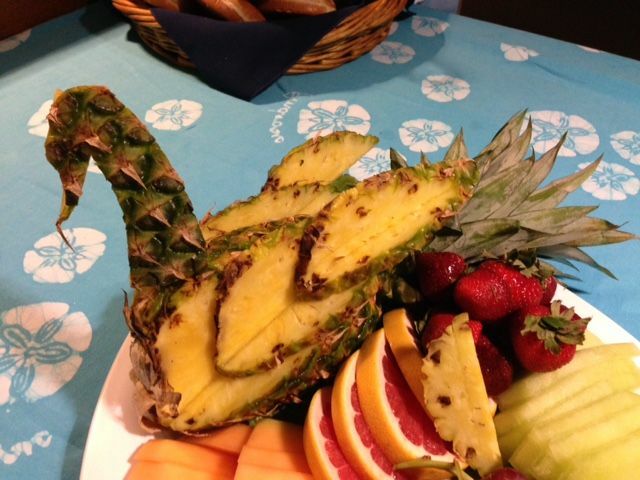 Snacks and fresh fruits are always available. 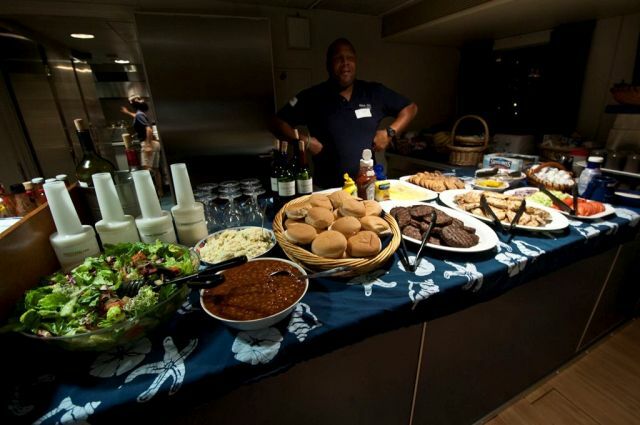 Most meals will be a combination of Bahamian and American cuisine. A selection of complimentary beverages is always on hand; from soft drinks, juices and lemonade, to beers, wine and rum drinks. Dinner is ashore Friday evening. The AquaCat has three different beers on tap, and unlimited wine as part of the cost of the charter. Divers will have the opportunity to do up to 5 dives a day Sunday through Thursday, including night dives, as long as weather is not a factor. Two dives will be offered on Friday. 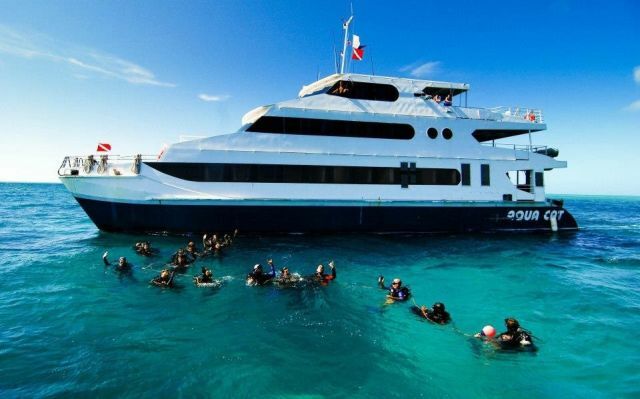 Up to 26 dives may be done during your Aquacat Bahama Cruise. 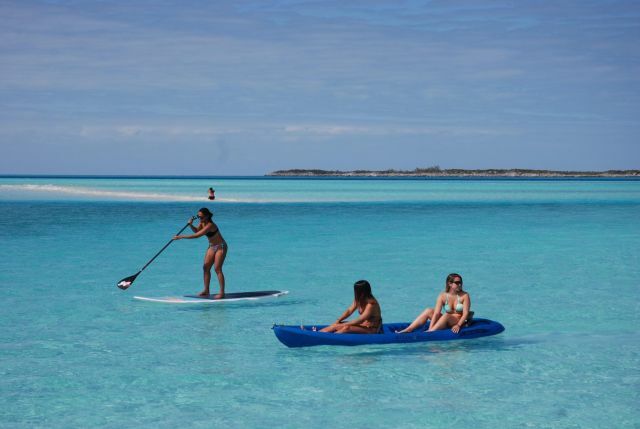 You visit the Exuma Cays an archipelago of over 365 islands and Southwest Eleuthera with its beautiful drop offs, swim throughs and Jakes Hole a tidal blue hole surrounded by beautiful corals. You will find a varied diving topography, high speed drift dives and spectacular vertical walls dropping into the abyss – as well as packed reefs with tiny sealife. For over 30 years, much of the northern Exumas has been a National Underwater Park with no fishing, spear fishing or collecting allowed. Because of these laws, there are miles of undersea gardens in which coral, sponges and fish abound. 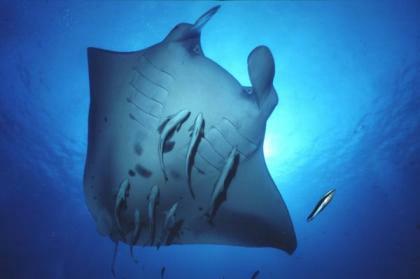 Turtles, rays and sharks are seen regularly on most dive sites. Goliath grouper truly are gargantuan in the Exumas. Shark feeding: There will be a shark feed dive each week, either in Exumas (Austin Smith wreck dive) or Eleuthera area. The most observed shark species are Caribbean Reef sharks and nurse sharks but Tiger-, Silky-, Lemon-, scalloped and great hammerhead sharks and even Bullsharks and Oceanic Whitetips have been observed during the Bahamas Liveaboard trips. Advanced training or Specialty courses are available on board. Discover Scuba Diving course with 2 additional dives available (no certification). Nitrox32 is available for USD 150 per week and per diver. You may get your Nitrox certification on board, please contact us for prices. 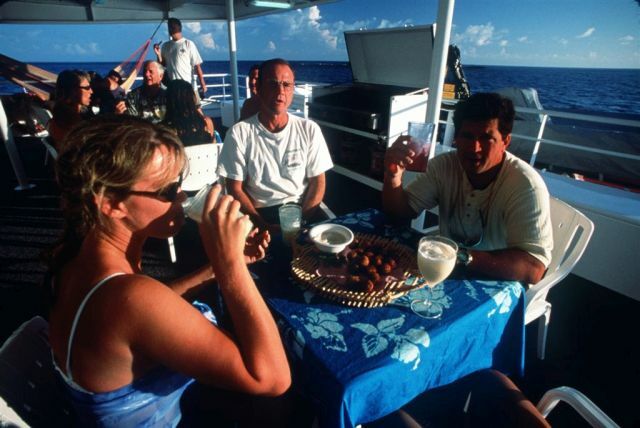 Eco-adventurers enjoy the many opportunities offered aboard the Aqua Cat and the Sea Dog. 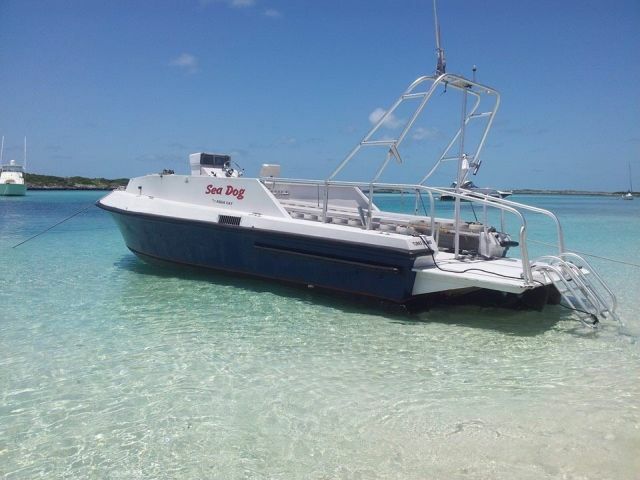 The Sea Dog is A 28’ launch that can take you to isolated beaches where you can snorkel or fish, explore, kayak and/or sunbathe. You may enjoy feeding and photographing the iguanas on Allan’s Cay. There are many trails at the headquarters of the Exumas Land & Sea Park on Warderick Wells. Be sure to check out the whale bones on the island. You can also kayak the creeks that meander through Shroud Cay. These creeks are nurseries for many varieties of fish and sharks. For those interested in bird watching, the Exumas are a nesting area for many species of seabirds including White-Tailed Tropicbirds, Audubon Shearwaters, Brown Noddies, and Bridled and Sooty Terns. You visit the swimming pigs of Major’s Spot Cay. This domesticated pigs became used to swim out to the boats and receive food. Boarding takes place 6 pm on Saturday. 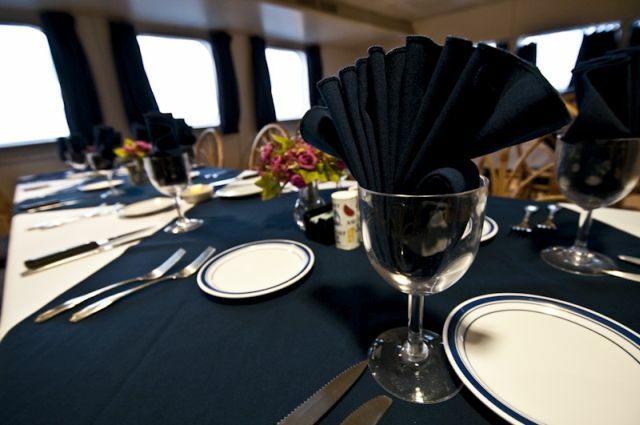 You will get a welcome briefing, dinner and an important safety briefing immediately afterwards. Please take this in account for your flight planning. If you are arriving earlier, you may drop bags off at the boat prior to 6:00 PM. The Aqua Cat returns to Nassau Friday afternoon. You will be responsible for dinner ashore Friday evening. You have to disembark Saturday by 9:00 AM. You may leave your bags at the boat if you have a late afternoon flight. Your arrival and departure airport is Nassau (NAS). Aqua Cat cruises provides complimentary transfers to/from the boat and the Nassau International Airport on Saturdays. Previously to your trip, together with your trip application please provide us with the flight information to make these arrangements for you. Island escape tours will be outside and across to the median when you exit the airport terminal. If you don’t find them immediately, for the driver Mr Wright. The Aqua Cat departs from Hurricane Hole Marina on Paradise Island, east of the Paradise Island Bridge.